OSHA’s struggles to reform its chemical exposure limits continue with the rocky roll-out of its two newest occupational exposure standards – Silica and Beryllium. Both standards have faced legal challenges, but will survive in some form resulting in a full panoply of new obligations, including significant reductions in the allowable exposure levels to these chemicals, and a comprehensive set of ancillary requirements, such as housekeeping, hygiene, medical surveillance, recordkeeping, workplace signage, training, etc. MSHA, even without its own Silica Standard on the books, has adopted some elements of the hierarchy of controls fundamental to OSHA chemical standards. MSHA also conducts exposure monitoring at least annually for respirable silica, and rigorously enforces silica exposure issues. “Me too” Silica and Beryllium standards for the mining industry may also be in the offing. Here is a link to a recording of this webinar. The April 17th webinar was the fourth webinar event in Conn Maciel Carey’s 2018 OSHA Webinar Series. 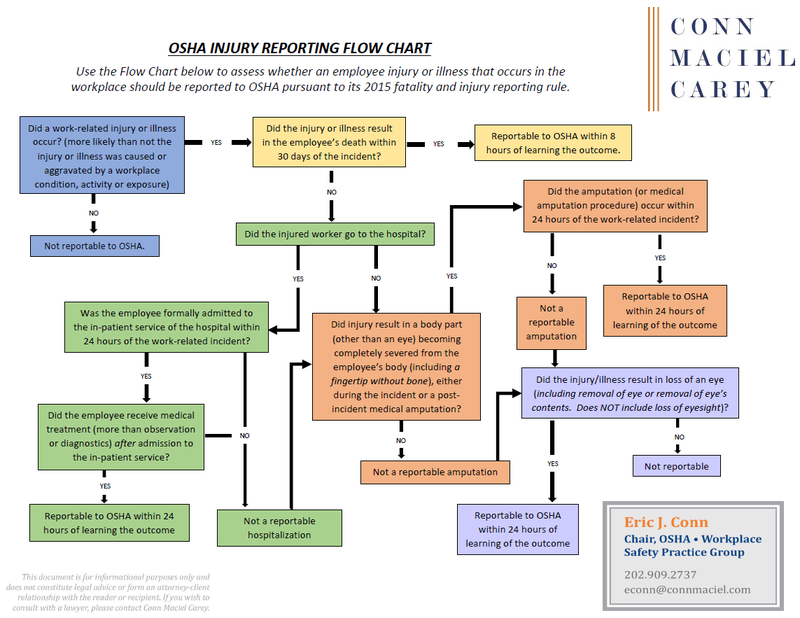 If you missed this one or any of our prior webinars in the 2018 series or from past years’ OSHA Webinar Series, here is a link Conn Maciel Carey’s webinar archive. View our full schedule, detailed program descriptions, and individual registration pages for the remaining webinars in the 2018 OSHA Webinar series HERE. To register for the entire 2018 series, click here to send us an email request, and we will automatically register you.